Play is not urgent. It will not wake a child up in the middle of the night like a bad dream or a bladder in need of release. Play isn’t something that hijacks a child’s attention like an empty stomach in need of food or an injury in need of first aid. While the instinct to play is inherent to all mammal species, it isn’t bossy nor does it demand the space it requires. 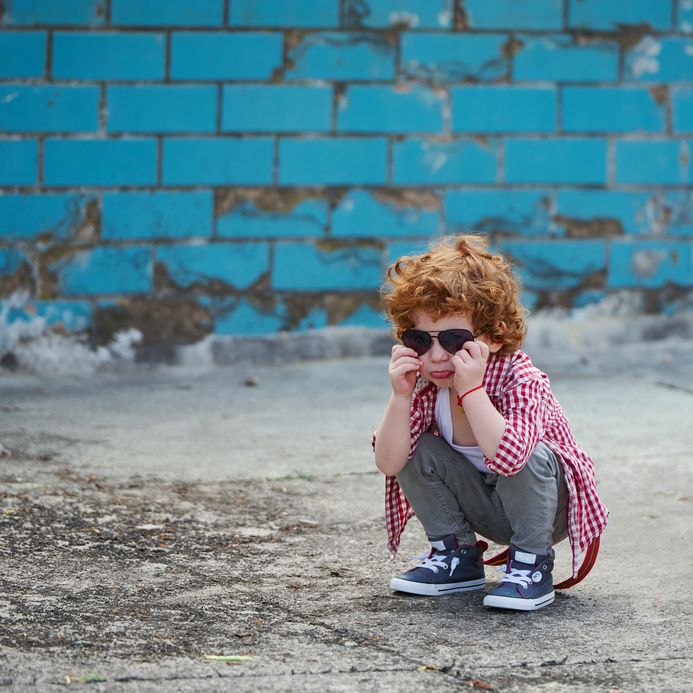 Play is often pushed to the side when other things take over, such as structured activities, shopping, or screen time. Play is often seen as frivolous, something that happens when more important things like math or reading are finished. While we readily accept that getting ‘lost in play’ should be part of childhood, it is often treated as a luxury and undervalued. However, play is critical to a child’s overall development; it is like oxygen. Play gives children the space to master life skills. It also fosters brain integration and creates a networked system that will be used in problem solving and creativity. When a child is at play, they are leaping ahead developmentally and forming a sense of identity and self-agency. Play serves a purpose, but we fail to recognize nature’s intention in hard wiring the play instinct into us. It would be a mistake to assume that all play is created equal. Based on the relational and developmental approach of psychologist Gordon Neufeld, true play does not involve work or a focus on outcomes, such as task mastery or learning. True play is also not for real: there are no consequences that come with their actions, like pretending to burn their food, get married, or crash race cars. True play allows a child to project what is within on the things that surround them; for example, animal figures may come alive with frustration while pretend babies feign helplessness. True play also requires a sense of safety, the type where one is not subject to being emotionally wounded by others. Play is engaging and holds one’s attention, unless other pressing matters jump into view. Finally, in play there is a sense of freedom that one is not bounded by the limitations inherent to the human form, because anything is possible in our imagination. There are many things that masquerade as play but do not meet the criteria for true play, such as video games or structured activities. Video games are built on someone else’s story line or algorithms, while structured activities like soccer or swimming have specific outcomes. The type of play children need is not based on putting things into them, but drawing out what already exists inside. In play, the goal is not to push a form onto a child but rather to free their spirit to explore, discover, and to express itself. One of the most important functions play serves is in the development of a child’s emotional system and preserving psychological well- being. According to neuroscientists, emotional development is as sophisticated as cognitive development, but it needs a playground to grow and evolve in. Children are born with immature systems and cannot differentiate among their emotions. This is why young kids are known forspontaneously spewing out intense emotion and being surprised by their own outbursts. They often lack words to explain or make sense of what has stirred them up. Sophistication in managing one’s emotions relies on being able to express emotion, translate emotion into a ‘feeling word’, feel vulnerably, and on having sufficient brain development so as to temper one’s reactions and reflect on them. The challenge is that this type of growth occurs best when the emotional system doesn’t have to work at solving problems for a child in real life – like getting someone close to you, or when you are scared and frustrated and need help. Brain integration is most formidable when the child is not preoccupied with survival needs, like attachment and safety. The beautiful thing about true play is that it provides the brain with the rest it needs to forward development. True play is not work, not real, and is expressive, which allows it to act as a shield for emotional expression. Play is rest, and this permits growth. Play affords a child the room to safely examine an emotion and to experiment with words and actions to go with it. For example, as a child expresses frustration in play they come to know it better in themself, and when they care for their ‘babies’, they unlock the caring instincts that will fuel their own parenting one day. As Gordon Neufeld states, curiosity is ‘attention at play’ and children will naturally seek to have a relationship with the emotional currents that move within them. In his book Playing and Reality, the paediatrician Donald Winnicott wrote that whatever exists needs to be expressed. Emotion is like this: it constantly seeks expression. Emotions are the workhorses of the motivational system; they are not themselves problems, but they are trying to solve them. For example, if a child is scared, the emotional system will jump into gear and launch a child to cling to someone for safety or to retreat in fear. When a child is feeling pushed or coerced, the emotion of resistance will jump to the surface to thwart being overrun by someone else’s agenda. The beauty of true play is that it allows a child to express emotion without being judged. There should be room to express all emotions in play – from frustration to resistance – and a child should be able to ‘get behaviour wrong’ because it doesn’t count. Hitting someone in reality will bring consequences, but experiencing the desire to hit or rather to free eir hurt something imaginary or lifeless in play should not. Being scared in play doesn’t require that one hide for safety. Being sad in play doesn’t activate real tears because the loss is pretend. ‘Better out than in’ is the modus operandi of the emotional system, and it doesn’t mind at all that it comes out in play. In fact, the more it comes out in play, the less emotion needs to come out everywhere else. The actions and emotions present in play are re ective of how a child is stirred up. When frustrated they may build and construct things, change and control how things unfold or evolve. Frustration play can also include destruction too, with crashing and burning to the ground as evidence of not everything going according to plan. Play can be fuelled with the emotion of alarm and fear with scary creatures and villains emerging. For example, while working with a family where a mother was undergoing cancer treatment, her son was constantly frustrated and alarmed. The father started to create a safe place for his son to play out his emotions. His son loved cats, so the father played ‘lions’ which included growling, snipping and snarling, as well as dealing with the constant fear of being attacked. His son’s emotional system jumped into action, took the bait, and expressed itself all over the place in lion form. It provided much healing, rest, and resiliency for the child, and it never required him to connect the dots to cancer in his family. One of the beautiful things inherent in play is that it ultimately answers to whatever expression is required in the child at the time. After my children witnessed a theft at a retail store they broke out in alarm-based play at home. Unsavoury characters like “Stick up Steve” and “Break out Bob” started to appear. When Steve and Bob were eventually caught after much crashing, banging, and screaming, they were given a lecture and trapped under the stairs so that they couldn’t hurt anyone else. In an effortless and timely manner, play answered their emotional world and provided release with safety included. When deprived of true play, emotional expression will be thwarted, leaving a child’s behaviour increasingly restless and more prone to outbursts. The emotional system needs to move. When it comes to a standstill, it is catastrophic for functioning and well-being: pent-up emotion takes on a life of its own, leading to potential explosions of great intensity. One of the best prescriptions for a child’s troubled emotional world is play. It is nature’s true therapy. In play, the goal is. not to push a form onto a child but rather to free their spirit to explore, discover, and to express itself. The late neuroscientist Jaak Pankseep argued that children need play sanctuaries to serve their emotional systems. Why? Because true play has become increasingly endangered in a work- and outcome-driven society. The idea that rest brings growth or that freedom from work is a requirement for well-being is denigrated for the sake of getting ahead, achievement, and the pursuit of material goods. While we acknowledge the need for play on one hand, we are concerned our kids will get ‘left behind’ if we don’t make them work at academics, participate in structured activities, or perform. The word sanctuary means a place to protect and preserve something that is sacred. A sanctuary is a haven, oasis, harbour, or shelter, and is meant to provide immunity from external pressures. Just as play doesn’t demand time and space, neither will sanctuaries appear on their own. We need to take an active stance in fostering natural reserves in a child’s life, so that play doesn’t get lost – and emotional maturity and well-being with it. The bias to explore, express, and release oneself to play is activated when a child’s relational needs are met. A child is free to play when they don’t have to worry about whether their hunger for contact and closeness will be lled. When they can take for granted that an adult will provide for them in a generous and consistent way, separation anxiety will not hijack their attention. Children under the age of three are largely preoccupied with their attachment needs so play is typically done in short bursts with adults and others nearby. When they become more independent and want to venture out on their own, they are more likely to get ‘lost in play’ for increasing periods. By the time a child is 5 years of age, they should ideally be able to play for extended periods – on their own and with others. To foster play, adults can collect a child’s attention and engage them for the purpose of connection. This could involve feeding them, talking to them, sharing an interest or activity with them, or telling them the plan for the day. 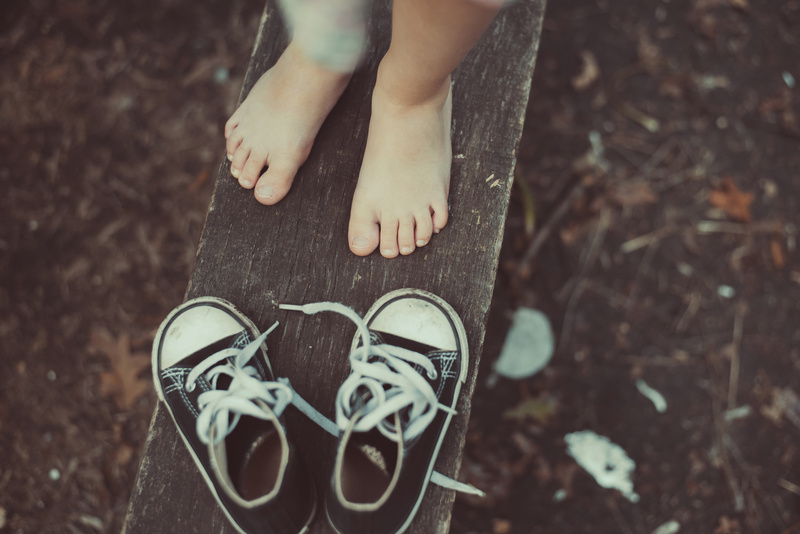 When a child is connected, the adult can then move them towards a space created for play, and retreat when the child’s play has taken over. The space could contain anything children are free to express themselves on, from a sheet of paper for colouring, to pots and pans to bang on, to a playground with slides and things to climb on. The best environment is one that allows a child the freedom to explore without being overly prescriptive as to what this should look like, other than ensuring reasonable safety parameters. We can set the stage for play by not allowing things that interfere with it to get in the way, such as screens that entertain or provide information, instruction, schooling, and structured activities, and by playing with others where the child is in a passive position. The key is to create a space that is free of work, responsibilities, or performance. When we do this, all that is left is for children to sit in the empty space that we have created. When we remove all of the things that distract a child and which create noise around them, it allows them to tune into the noise that is within. Sometimes this is uncomfortable and kids might say “I’m bored”, which is really about vulnerably feeling the void that has opened up. When we allow them to sit in the boredom, the play instinct should take the lead and move them to expression. Instead of seeing boredom as something we need to fix, we need to reframe it as the child’s internal world calling them to play. 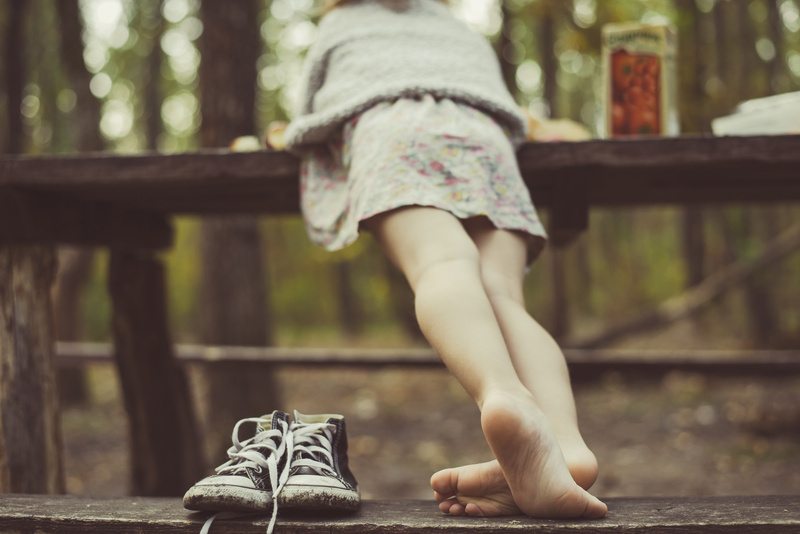 For children who are chronically bored and their play instinct doesn’t take over in the spaces we create for them, we can lead them into play through our relationship (while also considering why a child is emotionally flat-lining). For example, while doing yard supervision at a school, I noticed a 6-year old standing on his own. I asked him why he wasn’t playing and he said he was bored. This became a repetitive story I heard each lunch-time as I checked in with him. One day I told him I had some special fall leaves to show him and that all the kids were playing in them. He still wasn’t interested but followed me to have a look. With some playful prompts from me, he followed as I marched through the leaves and copied as I threw them into the air. While he could not initiate play on his own, he could be drawn into play through relationship. Carl Jung wrote, “The creation of something is not accomplished by the intellect but by the play instinct.” Human development is one of those creations and won’t be achieved by thinking our way into maturity, but rather by playing our way there. We need to create play sanctuaries to protect this invisible force that lies waiting and dormant inside of us. We also need the courage to release our kids and ourselves to play, and to let it carry our hearts when they are hurting the most. 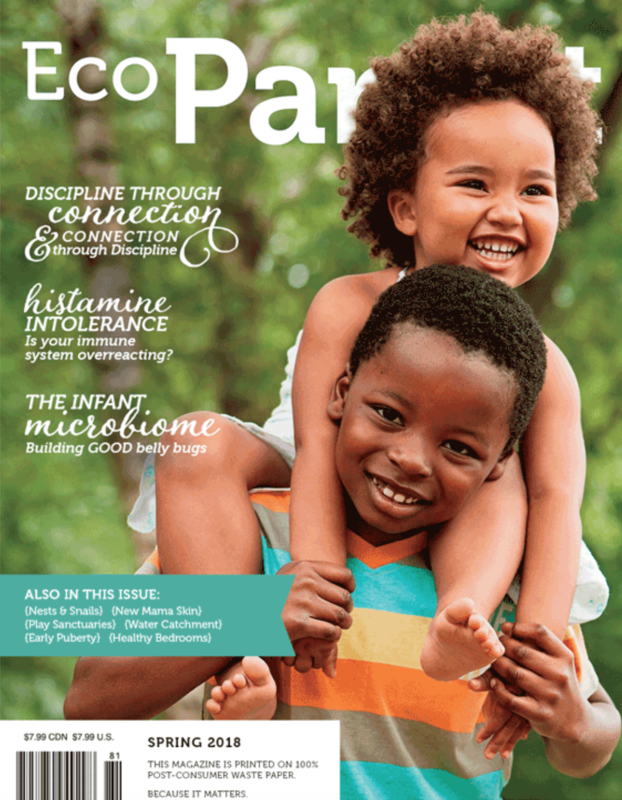 This article first appeared in EcoParent Magazine Spring 2018. Raffi Cavoukian, a children’s singer, songwriter, and child advocate, wrote a song titled – All I really need – which beautifully captures from a child’s perspective their most essential needs. Raffi sings, “All I really need is a song in my heart, food in my belly, and love in my family.” Every time I listen to this song I hear an unspoken message directed at adults as to what our children really need in order to thrive. Developmental science is also clear on the three irreducible needs of kids – the need for play, tears, and relationship. These three things are critical ingredients in helping kids grow to become socially and emotionally responsible individuals capable of setting their own goals, adapting to their environment and being resilient in the face or adversity, and feeling empathy for others. This is what maturity should look like but without the right conditions, this growth cannot be assured. We all know people who look like grown ups but behave like preschoolers. There is a difference between being young at heart and being immature – such as blaming others for one’s problems, having a hard time not getting their way, demanding and commanding others as to how to take care of them, and behaving impulsively. How do we explain this lack of maturity? When there are deficits in a child’s environment in providing for their irreducible needs, then development can be impacted and maturity hampered. Play is the birthplace of personhood. It is where a child gets their hands on the steering wheel of their own life and experiments under the direction of their body, heart, and mind. Kids need a place that is free of consequences in order to practice and explore. We don’t have to teach our kids how to play – it is innate. Our job is to create the space for them to play that is contained, safe from emotional wounding, and allows for the freedom of movement and expression. In other words, playgrounds often have gates and fences around them leaving kids free to explore the space that is within. Some kids are drawn to movement and to use their bodies to jump, climb, dance, or run. Others like to explore and examine, while some like to take items in their world and design something new. Each child has a particular bent for expressing their internal world, it is our job to facilitate the expression of it by creating spaces where this can be unleashed. What gets in the way of children’s play? One of the main challenges to play is the push towards academics, particularly in the early years. The trend towards early instruction and schooling is alarming and unfounded based on decades of research in developmental science. For example, in my community there are children showing up in kindergarten unable to play, that is, they look at their teacher and say they don’t know how when told it is time to. Upon closer examination, their preschool years have been full of instruction, schooling, and structured activities. Instead of hearing parents sound alarm bells about the loss of play (the teacher did! ), there was a sense of pride that a child could read or do math at an early age. Earlier is not better – not according to science. We can train and make kids work and perform at early ages but at what cost to their development? What happens when kids are made to work instead of play? Play affords a child a safe space for emotional expression and this is critical to well-being and maturity. Kids go through many types of emotions in play, acting out their feelings in the safety of pretend and make believe. 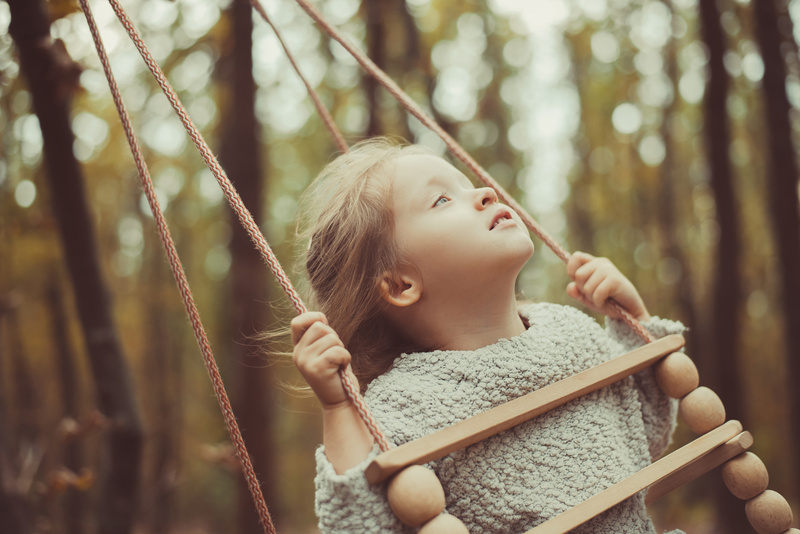 When play isn’t ‘for real,’ then the consequences of emotional expression are minimized and offer them the freedom to release whatever is stirring them up. The loss of play has been correlated in research with increasing rates of attention, anxiety, depression, and aggression in kids. Play preserves children emotionally. The problem is we don’t value play the same way we do work and outcomes. Play is viewed as something kids do in their spare time and even this has become endangered. Children’s time is increasingly filled with screens, structured activities, and instruction. While screens have become easy targets in bemoaning the loss of play, research suggests that one of the biggest losses in kid’s time is due to the increased amount of time they spend shopping – a 168% rise over a 15 year period. Without play our children cannot grow. There are no shortcuts here, no substitutes, and no pill that can serve as a substitute for what play provides. Parents need to be a gatekeeper to the things that erode time and space for play. Children need to have a song in their heart as Raffi says, because this is the sound of play inside of a child that is seeking expression in the world around them. Humans are born with the inherent capacity to be adaptable and resilient. We should be able to thrive despite adversity, to handle not getting our way, survive lack and loss, and be transformed in the process. This is the potential that exists in each of us and it will only be realized when we have a relationship with tears and sadness. The capacity to feel sad is one of the best indicators of emotional health in a child. When vulnerable feelings can be expressed it indicates that a child’s environment is helping to preserve or protect a child’s heart. Emotions are what drive a child to mature when they care about others and themselves, care about learning, care about their behaviour and how they act, and care enough to face their fears. Tears signify loss and separation from something we desire or when we are up against the things we cannot change. When it registers in the brain that something is futile – it cannot be or cannot change – then there is an emotional download and sadness is the end result. It is here, in this place where we have to let go of our agenda and feel the upset around it, that we are changed by the emotional shift. When it vulnerably registers that we can’t always get what we want, it will also resonate that we can also handle adversity. Tears are not something to be feared but something to be embraced in the process of learning. What gets in the way of supporting kid’s from expressing sadness or in crying? Sometimes adults are too impatient, busy, or frustrated which leaves little patience and room for a child’s emotional needs. Sometimes the messages we send kids is that we value happiness and ‘positive feelings’ more and suggest that sadness or upset is not welcome or warranted. Phrases such as, “turn that frown upsidedown,” or “you are not filling someone’s bucket today,” can put the focus on people pleasing instead of emotional integrity. We cannot tell our children to be honest, speak their mind, and tell us their secrets, while at the same time tell them to change or deny what they are feeling because it doesn’t serve them or us. Many parents tell me that when they were a child they were not raised being able to cry or express sadness when things didn’t work out. They often feel that because they were not supported this way, they are therefore unable to support their own kids too. But the capacity to help someone when they feel sad or upset is not something you need to learn, rather, it is something we already know how to answer with comfort, contact, and closeness. We just need to show up and be present when our kids need to feel vulnerably and express what they are going through. You don’t have to agree with a child’s thoughts or actions in order to help them find their tears either. We can come alongside their emotions and make room for their expression without condoning that immature behaviour is okay. We can acknowledge that something is frustrating for them and welcome the tears that need to drain the frustration that is built up. Saying no is part of an adult’s role in a child’s life – and so is helping them find their tears when they can’t change the no’s that are there. If a child can no longer say they are sad, upset, or lose the capacity to cry, it will be the adults in their life that will need to consider how to lead a child back to a place where they can feel vulnerably. When caring feelings go missing, it can be for many reasons including inhibition by the brain in order to preserve emotional well-being. If caring about something hurts too much, the brain simply responds by inhibiting the experience of caring feelings. Sometimes hearts can harden but there is much adults can do to help them thaw. Children cannot thrive without relationships. They need relationships with adults who generously invite them to be in their presence, who display an unwavering capacity to hold onto them despite conduct and performance – while at the same time, lead the child to behave in ways that are civil, mature, and emotionally responsible towards others. While I was at a hockey game the other night, I watched a father and his 7-year old son interact as they sat in front of me. It was clear his son was excited to be at the hockey game as well as impatient in only being able to move within the narrow confines of his chair. I watched the boy move around in his seat and buzz with energy as he watched the game, engaged with his Dad, and playfully interacted with his friend. I watched as his father gave him some space to express his energy until it crossed a line where it became too much and annoying to others around him – like when he started to kick the chair in front of him. The father leaned down, brought his head to his son’s ear and gave him direction, “I need you to stop kicking the chair and to sit in your seat for 10 more minutes.” The effect was immediate but what was remarkable was the warm yet firm way the father dealt with his son. It was clear to me his son was moved to obey his father not out of fear but respect – this is relationship at it’s finest. What healthy relationships deliver to children is the ability to rest and trust in the care of an adult to lead them. A child’s immaturity means they will behave poorly at times and express themselves inappropriately. What kids need is to lean on adults who can lead them through these impasses while preserving their relationship. It is a child’s dependency on an adult that facilitates their growth towards independence. In other words, unless you are rooted relationally, you cannot stretch and grow towards your own human potential. What Raffi seems to get so clearly in his song, All I really need, is how adults are partners in playing midwife to a child’s maturity. Kids have songs in their hearts because they should be instinctively moved to play. They need food in their bellies and love in their families which is about their hunger for attachment and to be cared for. Add in some tears and the capacity to feel sad and you have the three irreducible needs that all children require based on decades of cultural wisdom and developmental science. Simple? Yes – but these three things require a great deal of time, energy, commitment, and patience on the part of adults. If you take the long view on human development you quickly realize there is no pill that can substitute for maturity. Nature has a plan to grow our kids up and of we do our job then we can trust in nature to do the rest. We need to play midwife to the potential for maturity that lies within each of our children. Understanding boredom in kids is serious business. A mother of a 7-year old boy sat in my office, clearly distressed and said, “I take away my son’s technology and tell him to go play but he has no patience and becomes frustrated which turns into aggression directed at his younger brother.” Nothing seemed to be working to dislodge his lack of enthusiasm and it was starting to take a toll on everyone in the house. It’s not only parents who are concerned with boredom but researchers as well. Boredom is associated with an increase in rates of depression and anxiety (3), as well as triggering binge-eating leading to obesity (1). It can interfere with learning in the classroom and contributes to school drop-out (2). A survey of US teens revealed that those who reported being bored were 50% more likely than their peers to become involved with illegal drugs, alcohol, and smoking (1,4). Unfortunately, boredom is prone to being misunderstood and leads to failing solutions such as reducing screen time, altering structured activities and instruction, as well as trying to resolve boredom by letting kids sit in it for a while. When boredom becomes characteristic of a child, we cannot afford to take it at face value. Engagement with the world is one of the best gauges of vitality and overall psychological health. When boredom is reported on a more frequent basis by a child, it can be a sign that development may be getting stuck. To answer the question of boredom, we need to first consider what is missing in a child who repeatedly tells us they are bored. A child over the age of three should ideally show signs of wanting to ‘do it myself’ with budding autonomy and independence becoming evident. They should also indicate an interest in learning about new and unknown things. Kids who are thriving will often be able to shift into play or creative solitude when they are apart from their adults. Signs of vitality include having one’s own ideas, initiative, intentions, and interests. Children should be known for their imagination and curiosity, all of which go missing when a child is characteristically bored. According to Gordon Neufeld, the problem with kids who are bored is one of emergent energy (5). The bias that drives a child to become their own separate person or independent being is missing or subdued. The word boredom comes from the word ‘to bore,’ indicating an internal void where energy should be coming from. Humans are born with instincts and emotions that should propel them towards seeking and engaging with their environment. Boredom indicates a lack of emergent energy or venturing forth spirit, a necessity if a child is to grow to become independent. One of the problems with boredom is that when kids experience this void, they start looking for things to fill the internal hole and as a result, we mistakingly believe they need more stimulation. The more stimulation we give a bored child, the more we will miss what is driving their lack of emergent energy in the first place. What gets missed with boredom is that there is no energy coming from within the child. The bias to become their own person is missing or flat lining. Instead of springing into action there is little energy or signs that they assume responsibility for their decisions or direction for their life. The problem is that the bias to emerge is a fragile energy that thrives only under the right conditions. How can we help the bored child? The answer to boredom that has become characteristic of a child is not to tell them to go play or to let them sit in this state, which will only widen and deepen the child’s internal void and lead to further agitation. While it is true that we will all likely experience boredom from time to time, special attention needs to be given to kids who consistently seem to dwell in this place. The best measure to helping a bored child spring back to life needs to aim at the level of emotions and instincts. We need to get underneath boredom and focus on fueling what propels a child forward in the first place. The most critical human need that drives seeking and engagement in one’s life is not the provision of food or shelter but of relationship. When a child is vacant and missing it will be their relationship with caring adults that will nourish them back to life. It is releasing them from their preoccupation with relational hunger that will free them from their greatest hunger. These caring adult relationships may need to help a child find the tears they need so that once emptied, they can start the process of feeling full again. As a child goes missing, it is the adults in their life that will need to keep them moving – from getting them outside, to playing, to reading or doing schoolwork together. Instead of expecting them to figure things out, an adult will need to take the lead and compensate for what is not there until a child is restored to vitality again. It is also important to consider the reasons for the lack of emergent energy in a child – from too much separation in their close relationships, a lack of deep relationships with adults, or wounding from peers that has hardened the emotional system. While the reasons for a child’s stuckness varies, the pathway to finding a way through does not. It is about filling them up with relationship so that the void inside is filled with us. When we kick start their heart, it will surge back to life and bring with it the spontaneous engagement in life that we long for. When a child has their emergent energy restored, they will venture forth and figure out who they are. What every bored child needs is an offer to fill them up with an offer they can’t refuse – that of relationship and rest. It seems so simple but is yet so profound, the place that our children spring forth from is the same one where we are firmly planted. Dr. Deborah MacNamara is the author of Rest, Play, Grow: Making Sense of Preschoolers (or anyone who acts like one), is on Faculty at the Neufeld Institute, and the Director of Kid’s Best Bet Counselling and Family Resource Center. For more information www.macnamara.ca or www.neufeldinstitute.org. Shane W. Bench and Heather C. Lench, On the function of boredom. Sci.2013, 3(3), 459-472. Michael Spaeth, Karina Weichold, Rainer Sibereisen. The development of leisure boredomin early adolescence: Predictors and longitudinal associations with delinquency and depression. Developmental Psychology, Vol 51(10), Oct, 2015. pp. 1380-1394. Gordon Neufeld, 2013, Level I Intensive: Making Sense of Kids. Neufeld Institute, Vancouver, BC, neufeldinstitute.org.